The fifth and sixth volumes of the series are scheduled for publication in 2018 and 2019. 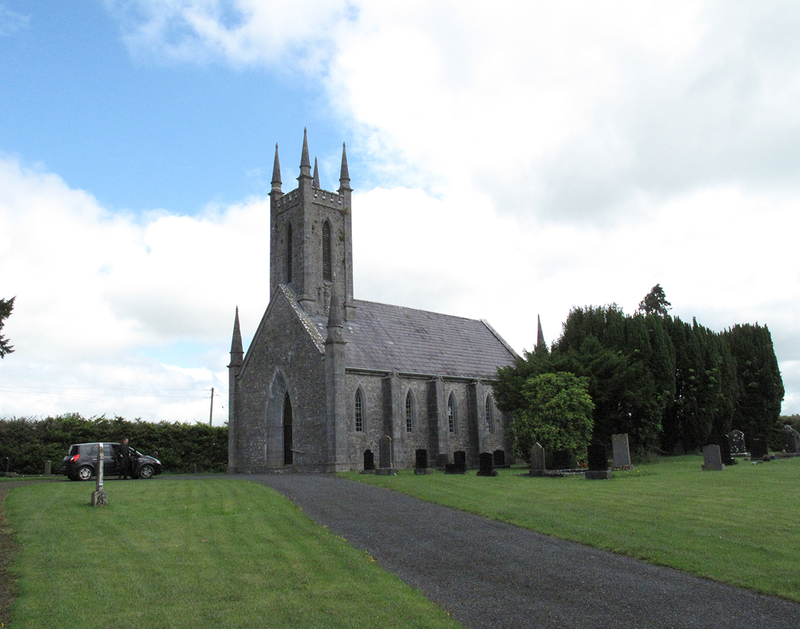 CENTRAL LEINSTER, covering the counties of Kildare, Laois and Offaly, is by Dr. Andrew Tierney, an archaeologist and architectural historian with a special interest in late-medieval society in Ireland. CORK CITY & COUNTY is by Frank Keohane, a native of Cork and a chartered buildings surveyor with an extensive knowledge of Munster architecture. Three further volumes on NORTH CONNACHT, DUBLIN SUBURBS & COUNTY, and EAST ULSTER are in the first stages of preparation. When these are finished five more volumes will remain to be written before the series is complete. 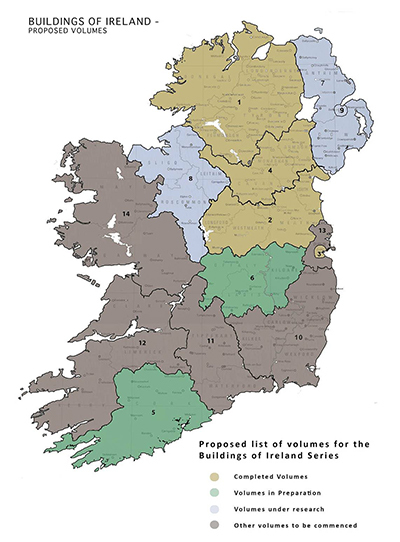 The Buildings of Ireland Charitable Trust would be glad to consider proposals for these final volumes and anyone interested in becoming a Buildings of Ireland author should get in touch with the Trust. The sequence in which volumes are published is not fixed and any region may be brought forward where suitable authors are available to write on a part of the country that they know well or if the interests of a sponsor focus on a particular area.